OUT OF STOCK This item has been discontinued by the manufacturer. The Electric Healthy Juicer is the new standard in juice extractors. 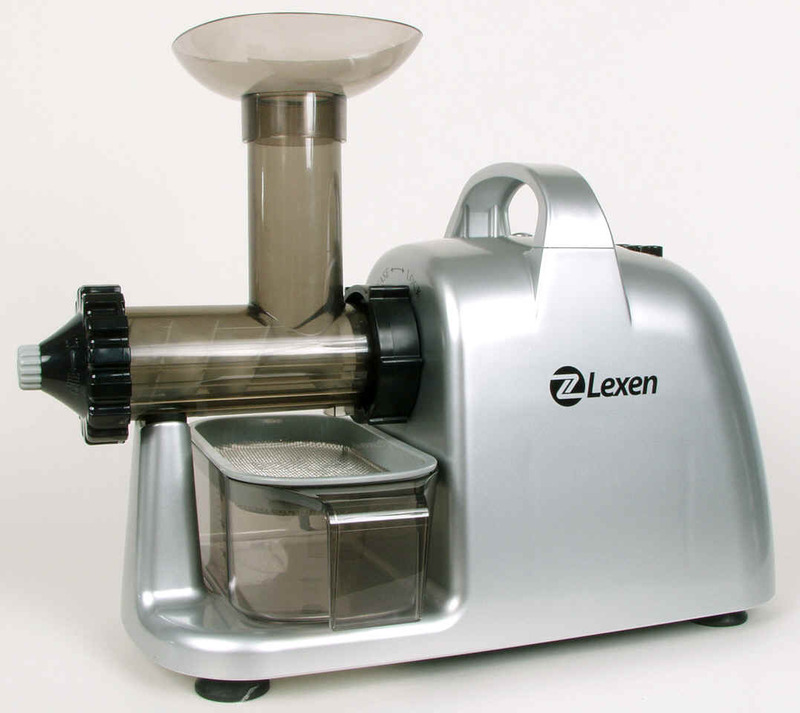 This is a powerful masticating type juicer that crushes fruits and vegetables, including hard vegetables such as carrots. The affordable price allows everyone to enjoy the incredible health benefits of juicing. More importantly the machine is made of quality parts which may last a lifetime. This is represented by its 8-Year Warranty on its motor and 1-Year Warranty on parts. This machine has so many different functions than just a juicer! Make pasta, nut butters, healthy baby food, frozen desserts and soy milk makes this machine an incredible value. 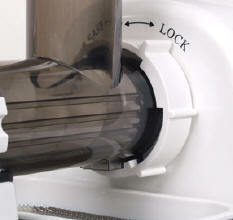 Includes two specially designed augers, one for wheatgrass and one for fruits and vegetables. Another advantage with the Healthy Juicer is there is no internal screen! You also have the option to have your juice with or without the additional fiber that the pulp provides. If you like pulpy juice, just leave the screen off! Please Note: The manufacturer claims this juicer will juice fruits and vegetables. At this time, we would caution you not to purchase this juicer if you want to juice primarily fruits and hard vegetables since this juice has no screen, and will probably not work that well with fruits and hard vegetables. This juicer will work best with wheatgrass. It will also work to some extent with other leafy green vegetables. We would then recomend the Omega 8003 Juicer if you wan to juice "everything". Be sure the chamber is in the 'lock' position and secured tightly! When juicing apples - we suggest using Granny Smith type apples as these seem to contain the most juice without a bunch of pulp. They work wonderfully and taste great as a glass of juice.